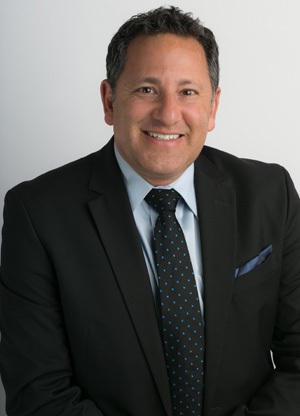 Robert Wexler is the managing partner of the firm’s Southern California practice and heads its Southern California Collective Bargaining Practice Group. Rob has over 25 years’ experience advising labor associations and their members on all matters relating to contract negotiations, grievances, disciplinary investigations, bargaining unit certifications, wage and hour claims, disability rights, and pension and retirement matters. In 2011 he was selected for inclusion in the Southern California SuperLawyers list. During his career Rob has represented an array of labor organizations, including some of the largest municipal police and firefighter associations in California. He has also successfully represented individual employees facing disciplinary and criminal prosecution and represented roughly 400 officers involved in on-duty and off-duty shootings. Robert is a prolific and popular presenter and he frequently lectures and writes about collective bargaining, the protections afforded safety employees under the Public Safety Officers’ Procedural Bill of Rights Act and the Firefighters’ Procedural Bill of Rights Act, Free Speech, and Privacy Rights. He has been a featured presenter for many organizations including: the Police Officers’ Research Association of California (PORAC), Labor Relations Information System (LRIS), the Southern California Internal Affairs Investigators’ Association, the California Public Employment Labor Relations Association (CALPELRA), the National Public Employment Labor Relations Association (NPELRA), the International Public Management Association for Human Resources (IPMA-HR) and the California Professional Firefighters (CPF). In addition, his articles that have appeared in various publications including PORAC News, In Pursuit Of, The Rap Sheet and the Hot Sheet and he has appeared on KCAL, KTLA, FOX, and KNX and KFI news radio. Robert graduated from Southwestern University School of Law’s prestigious SCALE program, where he received the Wildeman Scholarship for Academic Excellence and was a member of Phi Delta Phi International Honors Society. He and his wife, Jennifer, are proud parents of two daughters. Rains Lucia Stern Welcomes Robert M. Wexler!